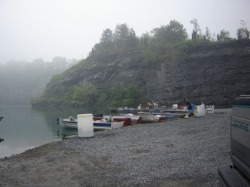 We have a 62 acre lake (electric motors only) with almost a mile of shoreline that is open for fishing from 6am until 1am(boats need to be off the water by 1am). 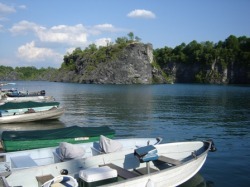 Species in the lake include trout, large mouth bass, crappie, carp, walleye, channel cats, sunfish, eels, and elwives. 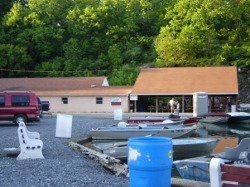 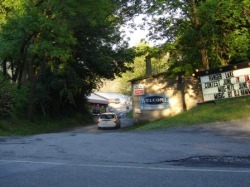 We offer 200 boat docks, a boat launch, and unlimited car top slips (you bring your boat in and out on a trailer). 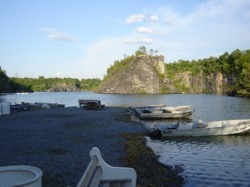 We also offer boat storage. 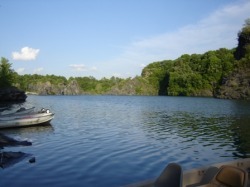 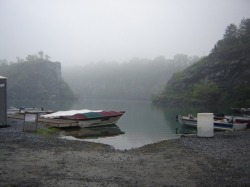 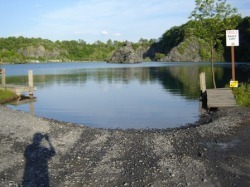 The lake varies in depth up to 100 feet deep.